Spirituality is when you seek to enjoy God, not self. Conversely, worldliness is when you seek to enjoy self and others. Spirituality is when your hedonism is focused only on God. 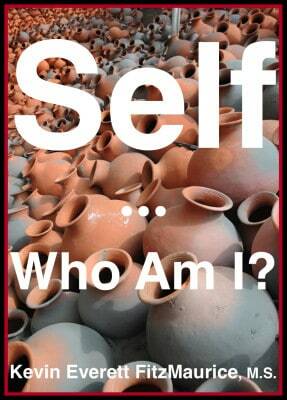 Spirituality is when your self-esteem is based only on your being made in the image of God. Spirituality is when you are just a vessel for God to use as He sees fit. Spirituality is when you identify with the spiritual container and never with the spiritual contents hosted by that container. Spirituality is the greatest danger. Mistakes in spirituality are harder to come back from than mistakes in materialism. Spirituality can either be the greatest ego trip of all or the experience of true humility based on your nature as a vessel. False spirituality is self-esteem based on images of God, gods, universe, energy, nature, religion, church, believers, etc. Just as a parent can identify with their images of their child for the sake of their self-esteem, so too can people identify with their spiritual images for the sake of their self-esteem. The worst spirituality is when you identify with your images of Jesus Christ. This is not only idolatry, it is also ego gratification based on a lie as Christ is not images but Spirit. Spirituality has nothing to do with sentimentality or emotionalism. Spiritual is defined by what it is concerned with: the workings and relations of the spirit. To be spiritual is to be primarily concerned with what your spirit is, how your spirit works, and the relations your spirit has with other spirits. In contrast, to be materialistic is to be primarily concerned with what your self-esteem is, how your self-esteem works, and the relations your self-esteem has with other materialistic persons. If spirituality is not based on the inner senses, on inner empiricism, then it is just idolatry. Empiricism has two forms: internal and external. There are also two forms of fool: those that have faith only in internal empiricism (mystic) or those that have faith only in external empiricism (atheist). Spirituality and materialism are opposite in that in materialism you seek to please yourself and other people and in spiritualism, you seek to please only God. Spiritual ego-mania is when you identify with the universe, the spirit, life, nature, etc., as if such a grandiose ego was better than the simple material ego you had before.